Karen's PhD explored the representation of 'race' on popular British TV. Subsequently, her work has focused on the relationships between gender and media, looking specifically at news genres. A sub-disciplinary research area is the ways in which news media represent political women, and more recently, Karen's work has looked at the experiences and location of women within media industries. 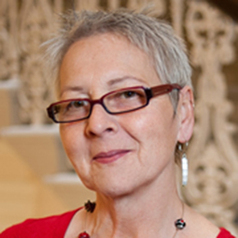 Karen has been a member of the AHRC's Peer Review College and reviews for the ESRC as well as a range of journals.